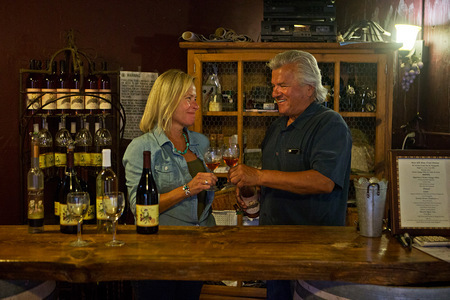 Yvon and Joanna will introduce you to the best of our region—wonderful food prepared from the freshest of local ingredients, paired with local wines. 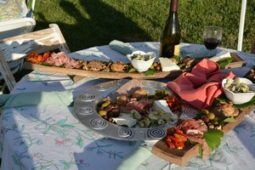 From artisan cheeses, hand made breads, and fresh local produce, to artfully prepared meals in a relaxed and fun environment. It’s about developing a deeper understanding of food and Wine DNA. 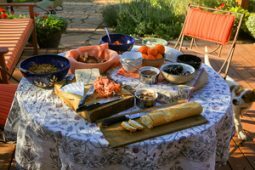 It’s about food pairing, cheese and bread making, even a game of petanque. 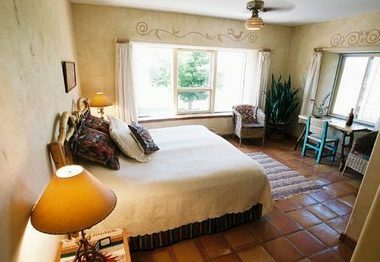 The Leroux Creek Inn is a New Southwest Style Adobe Inn, perfect for your Rocky Mountain Vacation Getaway. Located on the southeastern flank of the Grand Mesa, nestled in the Colorado Rocky Mountains and high desert. 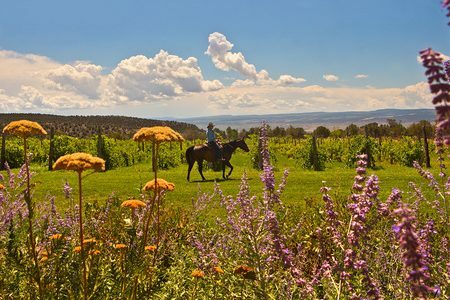 The temperate valleys and mesas that define this unique part of Colorado are rich in fruit orchards, produce farms, cattle ranches, vineyards, rivers and streams. 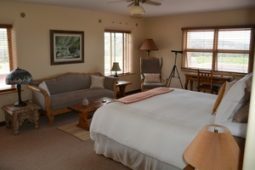 Each of our tastefully decorated guest rooms offers its own unique views. 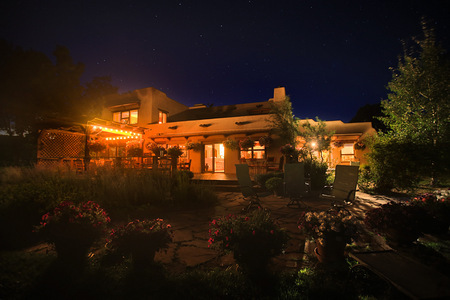 You have a choice of mountain peaks, vineyards, or high desert mesas. Enjoy the comfort of a private bath in each of our rooms. 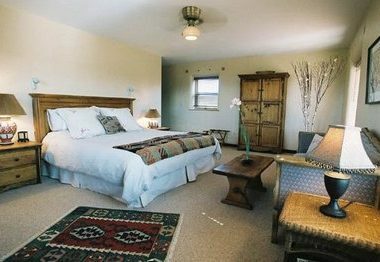 Also, in each room our guests may enjoy luxurious Spa Robes and Slippers. Perfect for the short walk to our outdoor hot tub spa. Complimentary beverages and guest refrigerator is available. 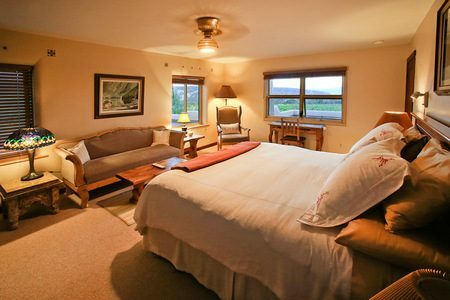 Each of our 5 rooms has a queen or king bed with the comfort of a private bath. 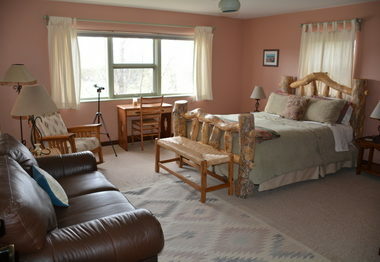 The Vista Room and Mesa Room can be set up for 2 singles. 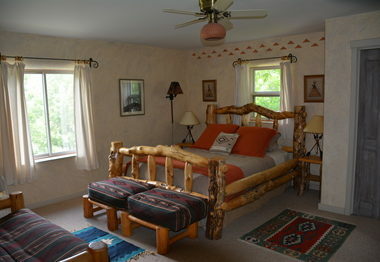 The Mission Room has a king bed that can be converted to two twins. 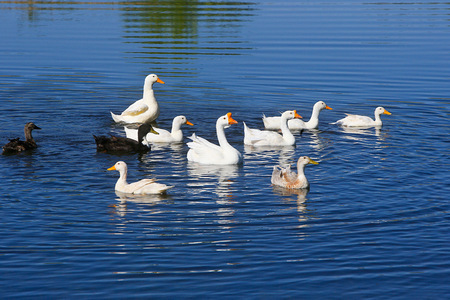 All rates are double occupancy. Please call for rates on 3 per room. 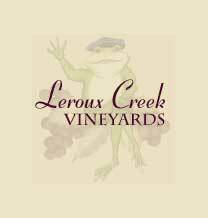 At Leroux Creek Vineyards we grow two hybrid grape varieties, Chambourcin and Cayuga. 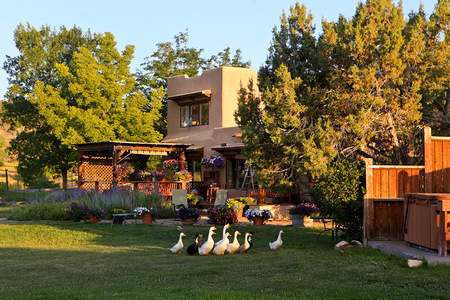 We support organic farming methods and our vineyard is organic. 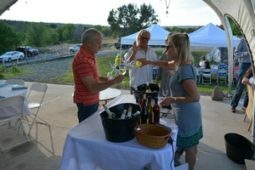 We are open for tasting in June 2017. 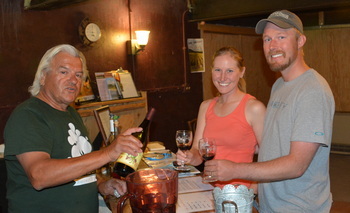 Join us in our tasting room. Your hosts are available to discuss the qualities of each of the wines you sample and offer hints and tips on how best to serve them together with recommended menu choices to highlight the qualities of our fine wines. 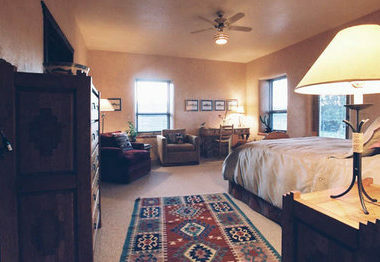 Leroux Creek Inn is located on Rodgers Mesa in the North Fork Valley of Western Colorado. 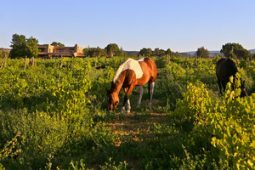 Known for it’s large concentration of organic farms and orchards, this special area has become known for it’s climatic similarity to the Provence Region of France. 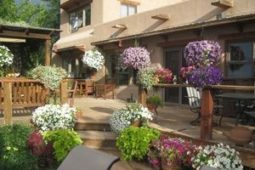 "A lovely B&B overlooking a vineyard in the peaceful valley of the North Fork, Gunnison River..."
"What a delightful welcome, and what a splendid time we had at Leroux Creek Vineyards!" 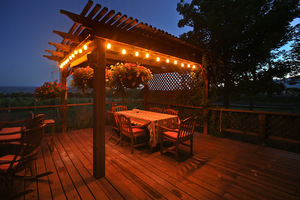 "This B and B went above and beyond our expectations. 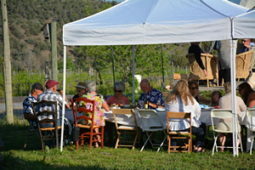 Yvon and Joanna were excellent hosts...."